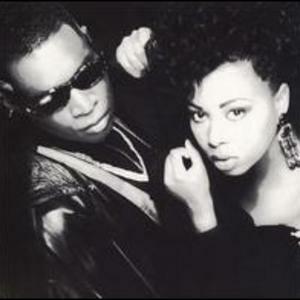 Inner City was formed in Detroit, Michigan in 1988 by producer Kevin Saunderson. He enlisted the talent of Chicago native Paris Grey to perform vocals for the tracks on what would become some of the most memorable club anthems all time, beginning with 1988's smash hit "Big Fun." Inner City's debut album, also entitled "Big Fun" (Virgin Records, US) / "Paradise" (elsewhere) was released in 1989. Inner City's debut album, also entitled "Big Fun" (Virgin Records, US) / "Paradise" (elsewhere) was released in 1989. The second single from the debut LP was the smash hit "Good Life," which has become one of Inner City's most memorable tracks gaining major airplay on MTV and peaking at #4 on the UK charts. The debut album also spawned a few other club hits such as "Do You Love What You Feel" and "Ain't Nobody Better." Kevin Saunderson went on to release three more albums under the Inner City name: 1990's "Fire," 1992's "Praise," and 1993's "Testament," which all yielded successful singles but could not match the chart-topping "Big Fun" and "Good Life."